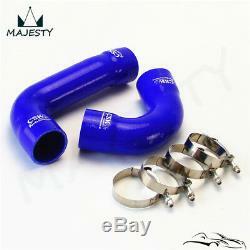 For Audi A3/S3 / VW Golf GTI R MK7 1.8T 2.0T TSI. 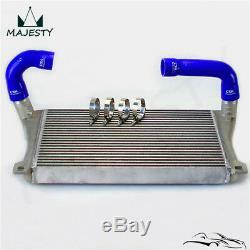 This Tuning VAG 1.8TSI - 2.0 TSI Competition Intercooler Kit is suitable for. Audi A3 1,8TSI 132KW/180PS (TYP 8V) (2013 and up). Audi S3 2,0TSI 221KW/300PS (TYP 8V) (2013 and up). Seat Leon 5F 1,8TSI 132KW/180PS. Seat Leon 5F Cupra 2,0TSI 206KW/280PS. Skoda Octavia 5E 1,8TSI 132KW/180PS. Skoda Octavia 5E RS 2,0TSI 162KW/220PS. VW Golf 7 GTI 2,0 TSI 162KW/220PS 169KW/230PS (TYP 5G) (2014 and up). VW Golf 7 R 2,0 TSI 221KW/300PS (TYP 5G) (2014 and up). 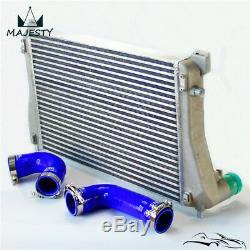 We have found some model year 2015+ vehicles may have an inferior water radiator installed (5Q0121251 ET). 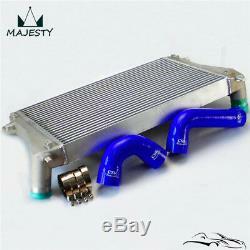 It has a much thinner unit with a less dense core and different mounts that do not suit our intercooler. 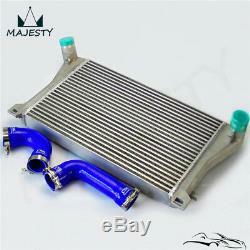 For correct fit and optimum performance we recommend the water radiator (5Q0121251 EP) be installed. Max horsepower capacity:200-450 hp +. Inlet / outlet : 2.36. End to end length: 28-36. 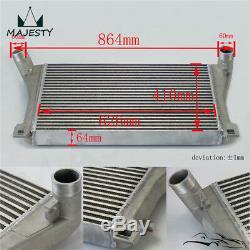 Made of high quality durable T-6061 aluminum. Doesn't come with installation instructions. 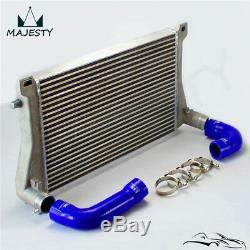 As you may know these are after market parts. We recommend professional installation Only. 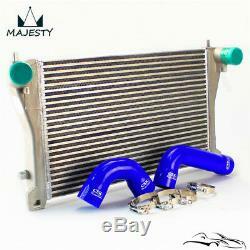 The item "Bolt on Intercooler Kit For Audi A3/S3 / VW Golf GTI R MK7 EA888 1.8T 2.0T TSI" is in sale since Thursday, August 10, 2017.